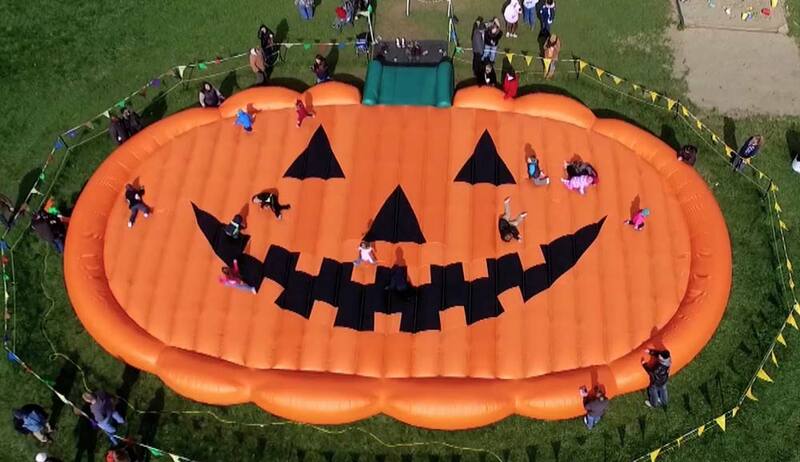 The Pumpkin Pad was our very first custom bounce pad, designed for a family farm and corn maze in Upstate NY. Perfect for any fall business and looks great from the sky! The Apple Pad was our second custom bounce pad. This was created with apple orchards in mind but is great for any fall business. 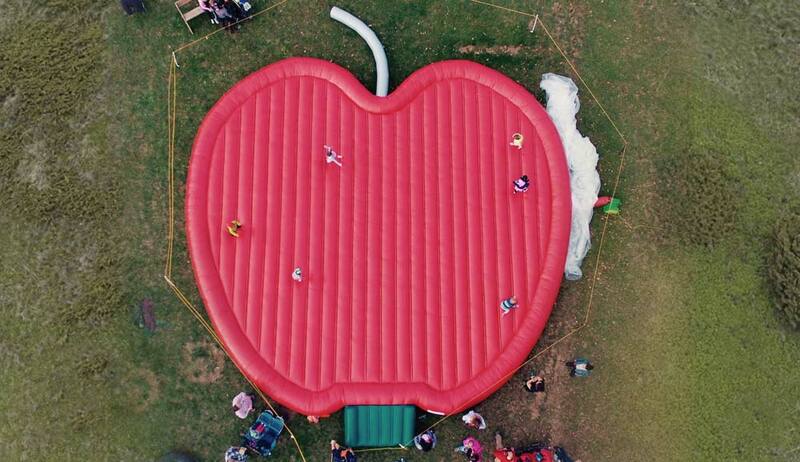 The Strawberry Pad is another one of our standard bounce pads. This pad is great for berry farms and other pick your own fruit farms.